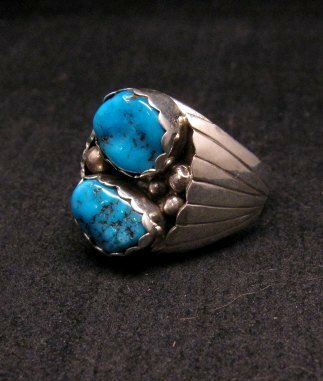 Here is a Navajo hand made turquoise nugget mens ring featuring two genuine bright turquoise stones with dark matrix. 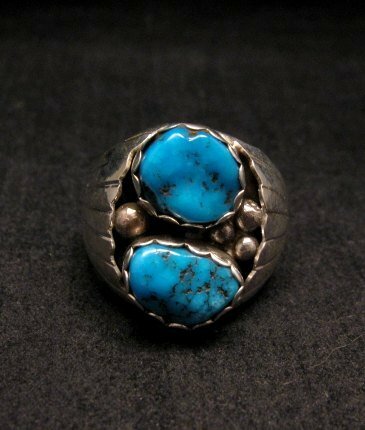 The oxidized background helps to accent the turquoise stones. Applied sterling silver fans at the sides of the ring. 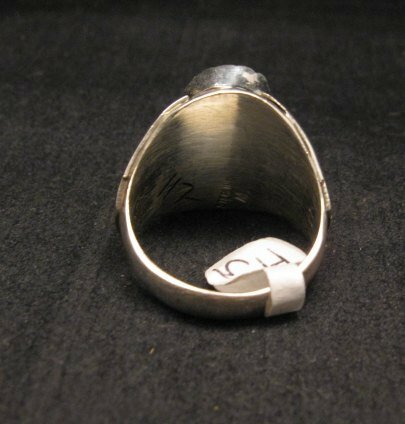 The front of the ring measures 7/8 inch tall by 5.8 inch wide. Weighs 17.3 grams. Size 12. Brand new in perfect condition. All stones intact. No cracks or chips. Gift box and certificate of Authenticity included. Handmade by Marlene Martinez silversmith.